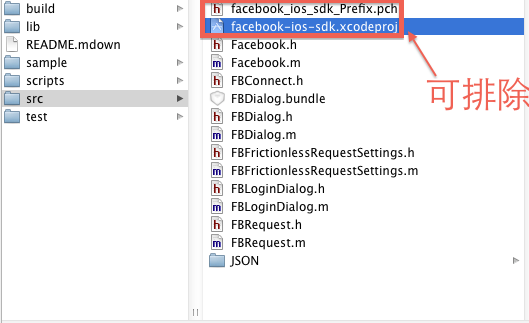 【facebook SDK 3.1】what is NEW? 若用戶本身有裝facebook開發並發佈的app應用程式，則你的app中的facebook SDK會打開facebook app的驗證對話框。用戶授權或者拒絕後，facebook app會返回到你的app，並傳遞access token， expiration， and any other parameters the Facebook OAuth server may return. 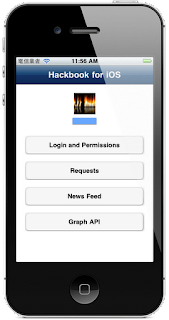 This instance is used to invoke SSO, as well as the Graph API and Platform Dialogs from within the app. Step 3. Once the instance is created, check for previously saved access token information (We will show you how to save this information in Step 6). 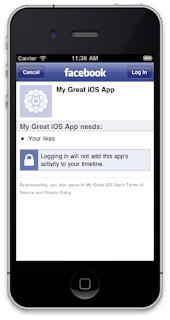 Use the saved information to set up a "session valid" check by assigning the saved information to the facebook access token and expiration date properties. 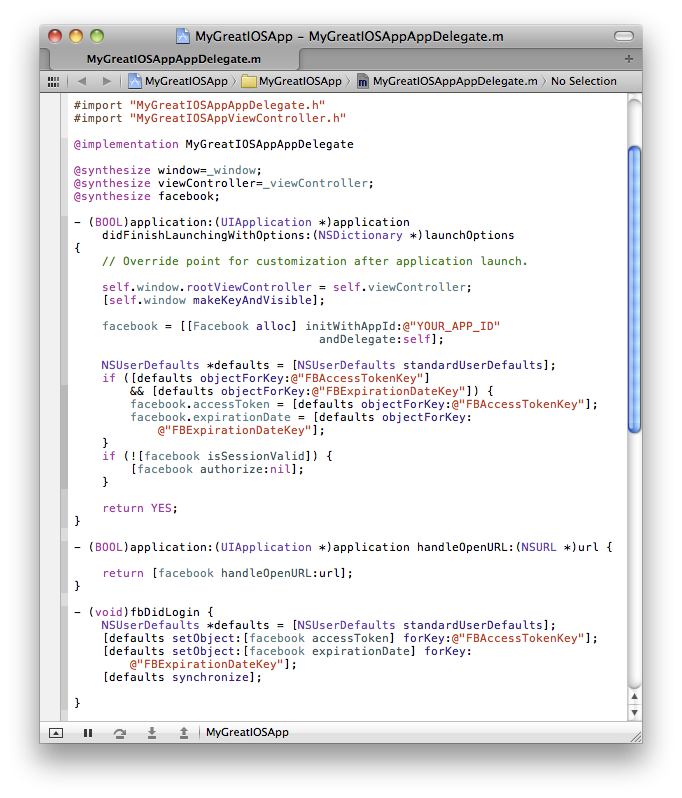 This ensures that your app does not redirect to the Facebook app and invoke the Auth Dialog if the app already has a valid access_token. 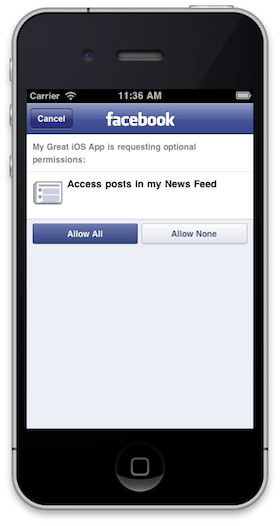 If you have asked for offline_access extended permission, then your access token will not expire, but can still get invalidated if the user changes their password or uninstalls your app. Read more on How-To: Handle expired access tokens. 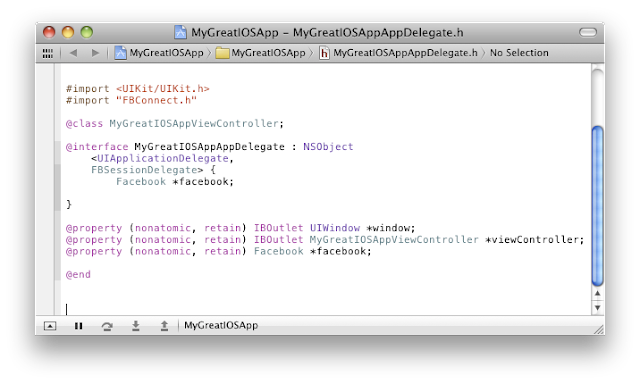 Note: offline_access is deprecated! 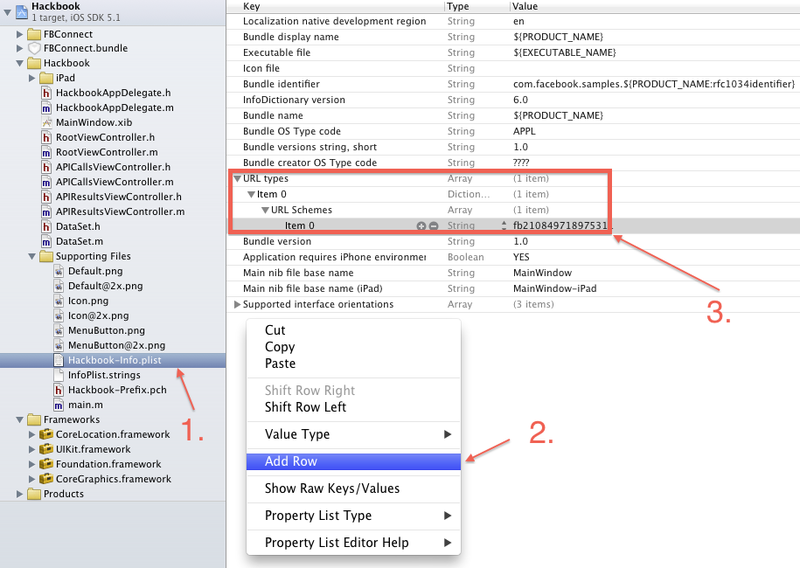 See the Extending the access token section for information on how to extend the expiration time of an access token for active users of your app. The relevant method is called by iOS when the Facebook App redirects to the app during the SSO process. The call to Facebook::handleOpenURL: provides the app with the user's credentials. 開發者也可以使用Graph API call.去revoke an app's permissions. As always , if you have any question , feel free to contact me. hope to change this world.